To some, Tavira Island is considered the jewel in the crown of the Eastern side of the Algarve -- and I'm one of its advocates. It is also often locally referred to as Praia das Cascas -- since Tavira Island is the whole 3Km Island extension including Praia do Barril. 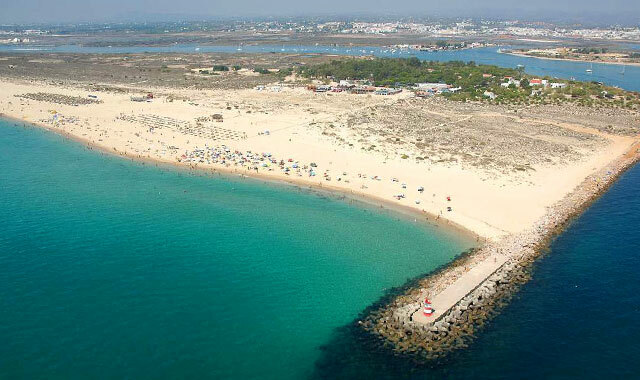 A few minutes boat trip will take visitors from the jetty of Tavira located just outside the town across to this attractive sandy bar. This overview is a summary about Tavira Island Beach. 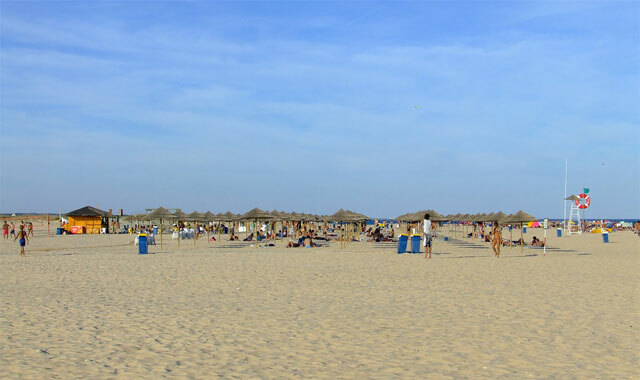 For a more in-depth write-up we recommend you visit the page about Tavira Island Beach in Tavira Guide. The water quality is excellent, and children in particular appreciate the warm still waters of the lagoon. For visitors with naturist inclinations there is an area reserved especially for their needs which is about one kilometer walk to the west end of this beach. Notes: Care is recommended as the currents close to the bar of the estuary are normally very strong. In order to help preserve the sand dunes, you should use the already existing footpaths. Beach access: There are boats to the island from Cais das Quatro Águas in Tavira (EN 125). The parking area is fairly large and organised. The beach has basic support facilities (restaurants and toilets) and is supervised during the bathing season. It faces south-east.